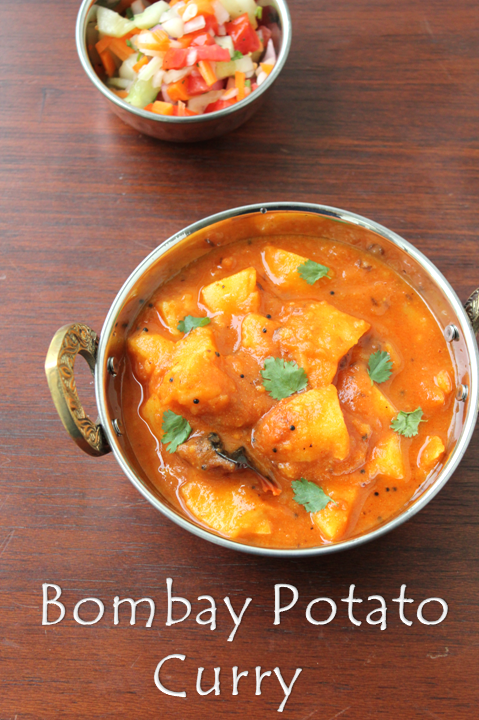 I think I am in a phase of making simple,easy,tasty,tangy subzi's these days.It is real hot summer and i am sure all of us want to spend as little time as possible in the kitchen.In the process i came across this subzi called Bombay potato curry or Bombay Bataka Recipe posted by Sia of Monsoon spice.I immediately gave it a try and it was yummy!! !To my surprise it is a no onion and no garlic recipe!!!! I have been wanting to post this recipe in a long time.Though it is very easy to make it took me so long to post it.It is simple Tur dal cooked in Gujarati style.They call it "khatta meeta" dal because it is a little sweet and spicy.It comes in really handy when you run out of ideas or vegetables!!! 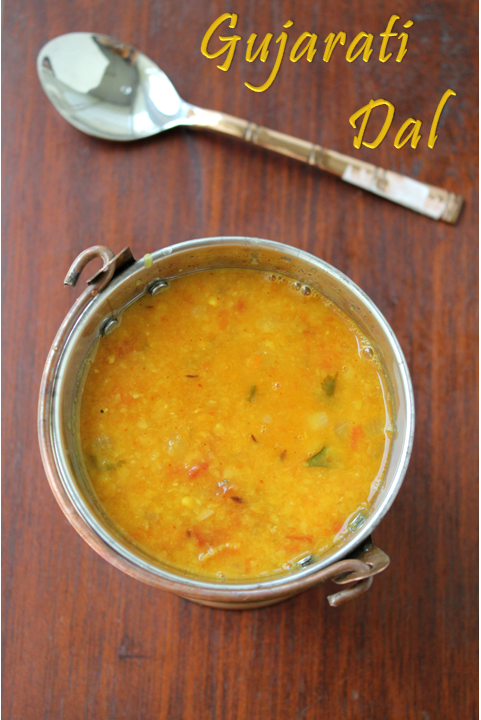 !Plain basmati rice with this dal with a dash of Ghee tastes heavenly!!!! 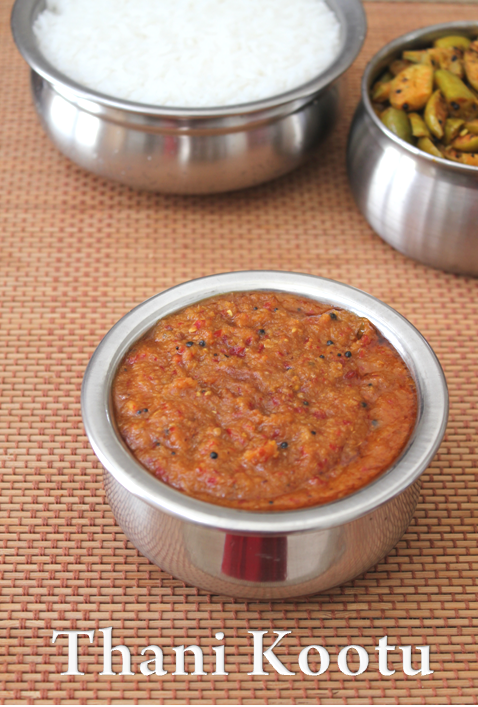 Thani Kootu is a very traditional and old recipe.This is usually made at home during sumangali poojai. "Thani" means "alone" in Tamil, this kootu is made up of gravy without any vegetable and dal that is why it is called "Thani kootu".During this pooja they make five vegetables with the same gravy.Vegetables like Snake guard,cluster beans,chow chow,brinjal, are boiled and combined with the gravy.It is made during Pongal(sankaranthi)festival too. 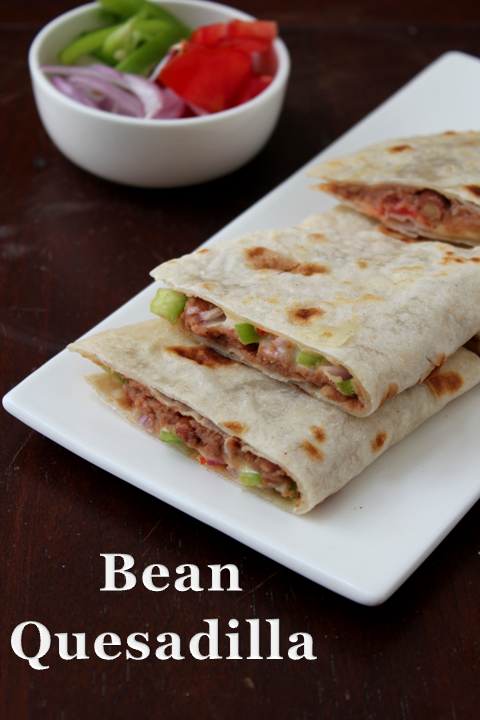 Bean quesadillas very similar to our roti and rajma but prepared in a different form.Kids love it because of the cheese, crunchy vegetables and of course it is different!!! It is simple to make too!!! 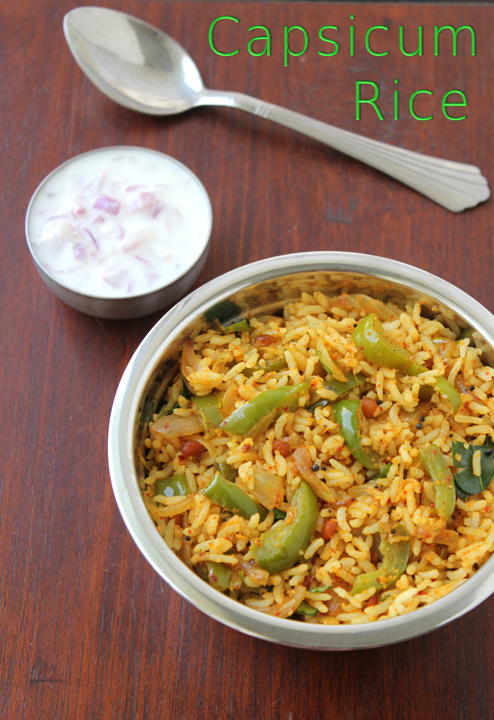 Spicy Capsicum rice is a different rice variety recipe.It is not very common and frequently made.It is very similar to Vanghi Bath or Kathikkai sadam but with capsicum it is good variation.Do try! !